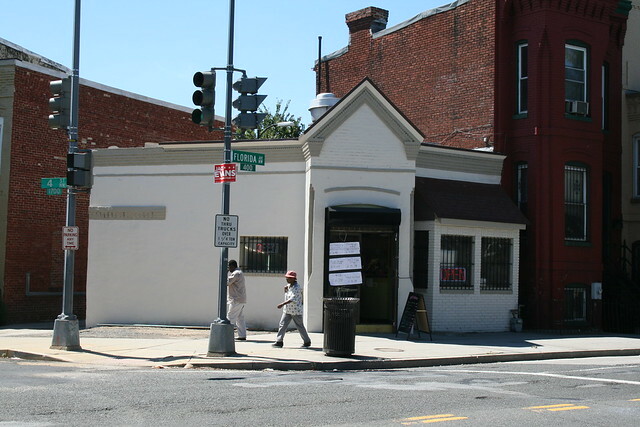 A new restaurant is coming to the short-lived hair salon (pictured right) at 5th Street and Florida Avenue NW. From Paul Carlson, the owner of Vinoteca, comes The Royal, named for the Royal liquor store that once occupied the building many, many years ago. Though Mr. Carlson doesn’t expect the Royal to open for a few months, interested neighbors are invited to visit on Sunday, January 26, from 2pm to 4pm. If you can’t make it on Sunday, come hear Mr. Carlson’s presentation at Tuesday‘s civic association meeting. The association will likely vote on the Royal’s request for an alcohol license. A Bloomingdale resident share this 1937 news story in which the author recounts the early days and residents of LeDroit Park. The writer describes what LeDroit Park looked like before 1875, which is about the time the neighborhood started to develop. He recalls that he could stand at 7th Street and Florida Avenue (née Boundary Street) and see all the way down to North Capitol Street. Few houses stood on Florida Avenue at that time, he notes. The Washington & Georgetown Railroad, a streetcar company, kept a car barn on the triangular block opposite what is now the Howard Theatre. The neighborhood was created by combining the Miller, Prather, McClelland, and Gilman properties pictured below. The Prather property was used as a pasture and the Miller property was not maintained. The author lists several of the neighborhood’s earlier residents. Before LeDroit Park became the favorite enclave of Washington’s black elite, it housed many prominent whites. While few of the people listed below are household names today, many of them held high positions in government. J. J. Albright, possibly the wealthy coal magnate and associate of LeDroit Park developer Amzi Barber. Brenton L. Baldwin, Emma B. Smith, F. H. Ramey, W. E. Williams, Ralph Baldwin, B. Pettingill, S. S. Gannett, F. J. Young, Henry A. Merrick, Rev. C. H. Fay, N. M. Brush, Charles W. Fisher, Abram L. Swartout, W. Norman Fleming, Charles A. Hamilton, O.B. Brown, William H. Degges, W. F. Hildebrand, James A. Marter, T. B. Campbell, T. J. W. Robertson, E. M. Merrick, H. B. Wyman, M. Horstman, A. W. Conlee, C. R. Follin, Mary Ragan, Oscar T. Towner, E. Woodruff, W. Hollingsworth, H. E. Cooper, and J. B. Thomas. If you dig up any information on these people, please add it to the comments. Two— possibly three— new movie theaters are set to open within a mile of LeDroit Park by 2016. 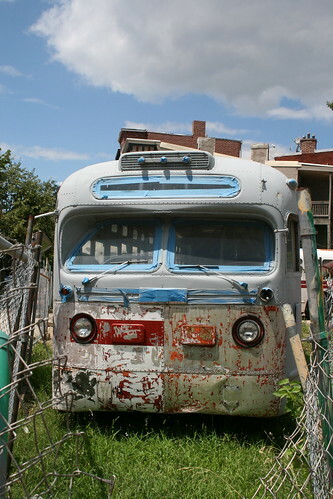 All will be located within a block or two of Florida Avenue and are easily accessible by foot, bike, and 90s bus. Prolific developer JBG is starting construction on its Atlantic Plumbing project by the 9:30 Club. The project includes two mixed-use buildings on 8th Street NW, each on opposing sides of V Street. The northern building was supposed to include an 11,000-square-foot movie theater, but a September article in the WBJ makes no mention of a theater. The building will probably open in 2015. 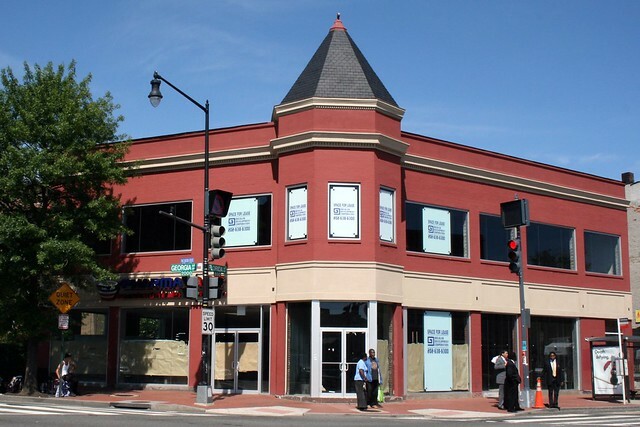 Capitol Point, another JBG mixed-use project, is located on New York Avenue NE near the maddening intersection with Florida Avenue NE. The mixed-use project is slated to receive a 10-screen Landmark Theater showing foreign and independent films. 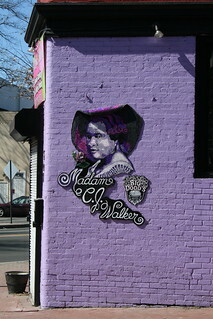 The chain currently has a location downtown on E Street and one in Bethesda. This new theater is scheduled to open in 2016. Soon after you pass under the railroad tracks on Florida Avenue NE, Union Market appears embedded in the background on the left. These blocks constitute a wholesale food market that is slowly being redeveloped. The new Union Market building has met great success, featuring produce, prepared foods, oysters, meats, and dairy products along with chairs and tables for the impatient. The market fare is definitely upscale and vendors never shy from the word ‘artisanal’. The market building’s developer announced it will open an 8-screen Angelika movie theater on an adjacent lot. Angelika theaters feature foreign and independent films and, as the Post described it, “culinary offerings from former Food Network executives.” The developer expects the theater to open in 2015. Another movie theater is coming to different part of the District. In the Navy Yard, developer Forest City is planning an upscale 16-screen theater near Nationals Stadium and the Navy Yard Metro. The theater, at N Place and the future 1½ Street SE (a terrible name for a street), may not open until 2016 or later. Can’t wait until 2015? 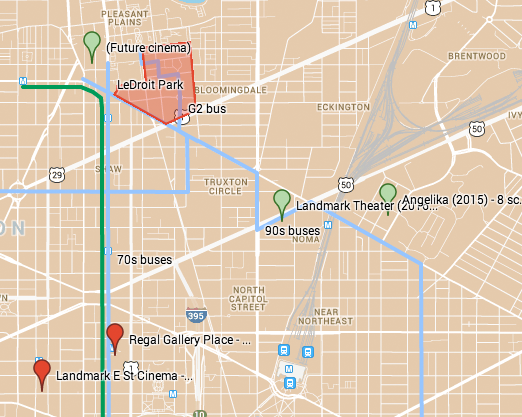 There are four existing theaters within a 2.5-mile radius of LeDroit Park as the crow flies. 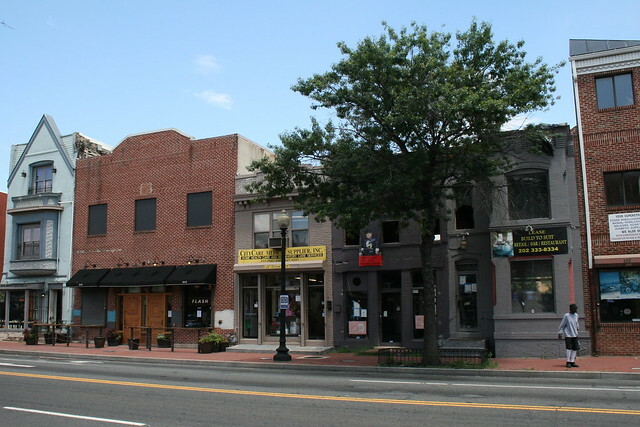 The Landmark E Street Cinema (1100 block of E Street NW) and the Regal Gallery Place (7th & G Streets NW) are easily accessible from the Green Line, Yellow Line, and 70s buses. 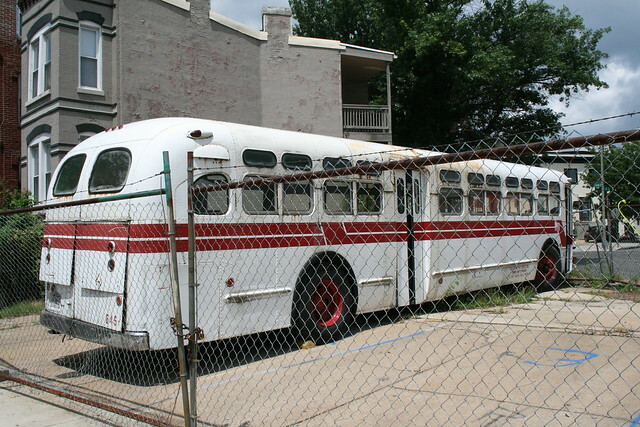 To the west of us, the West End Cinema (23rd & M Streets NW) and the AMC Loews Georgetown (3111 K Street NW) are easily accessible from the G2 bus, whose eastern terminus is LeDroit Park. A recent open house in LeDroit Park perfectly illustrated a great feature of the L’Enfant Plan. The house at 469 Florida Avenue sits directly on the New Jersey Avenue view corridor of the Capitol. 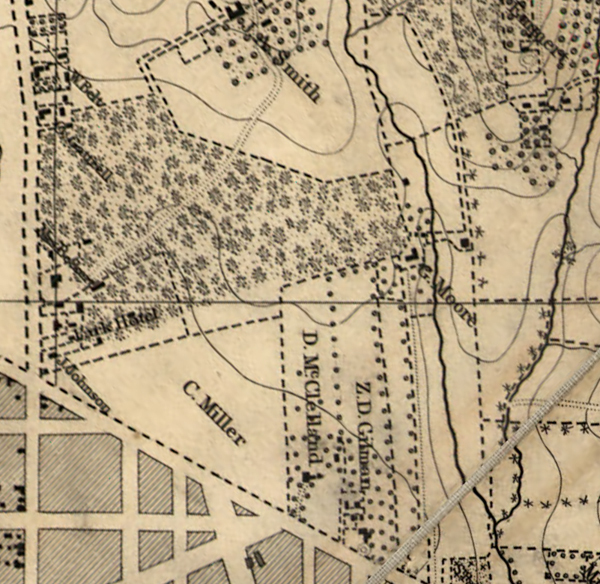 Typically this location would be reserved for a civic monument such as a statue, circle, square, or government building, but L’Enfant drew his capital within the confines of Florida Avenue, the two rivers, and Rock Creek. 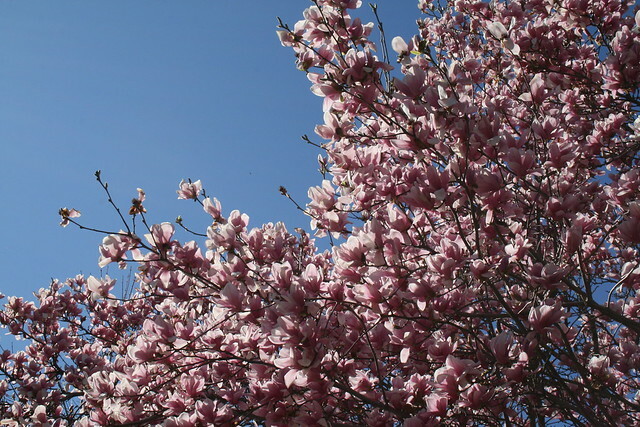 In some cases, such as Rhode Island, New York, and Maryland Avenues in Northeast, Massachusetts and Connecticut Avenues in Northwest, East Capitol Street, and Pennsylvania Avenue SE, subsequent city officials and developers continued these avenues beyond the city’s original boundary. LeDroit Park, however, stood right in the way of what could have been an extended New Jersey Avenue NW. Instead of terminating the avenue at a civic point, builders in the neighborhood’s rowhouse era (1880s and after), built without regard to the design principles of the L’Enfant Plan. 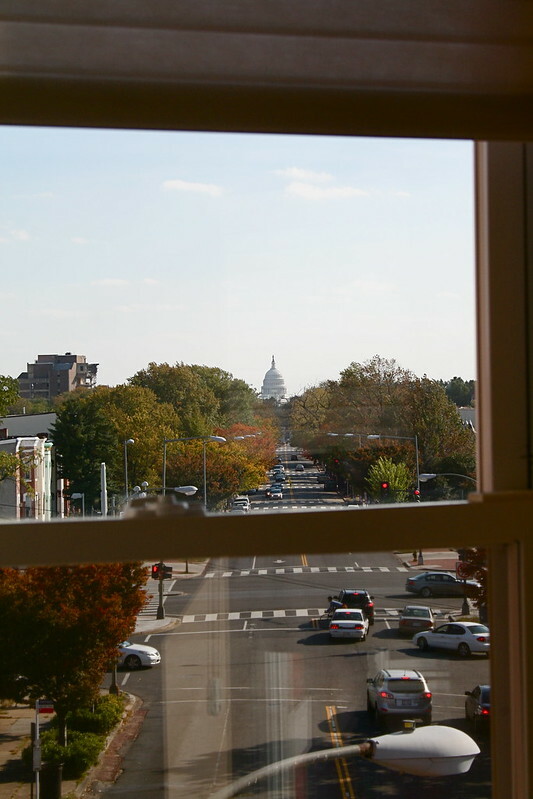 The result is that one row house has a stunning Capitol view worthy of a monument. Lunch Yaki also advertises breakfast items from egg and cheese sandwiches to bagels, omelets, and French toast ranging from $1.79 to $5.59. The venue is carry-out only, so be sure to reserve a table in your own dining room. Farther up, the gray building at 639 Florida Avenue (see photo above) is being renovated to become I Ching, which, according to the banner out front, will serve “Korean BBQ, hot pots, and Asian fusion”. There is no word on when I Ching will open. 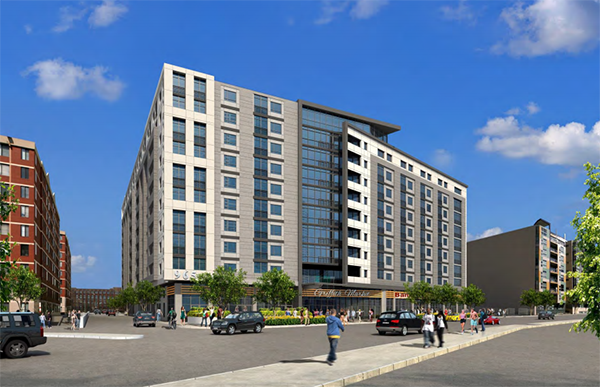 Shortly after Labor Day, construction will begin on the two JBG apartment buildings on the former WMATA sites on the 700 and 800 blocks of Florida Avenue. 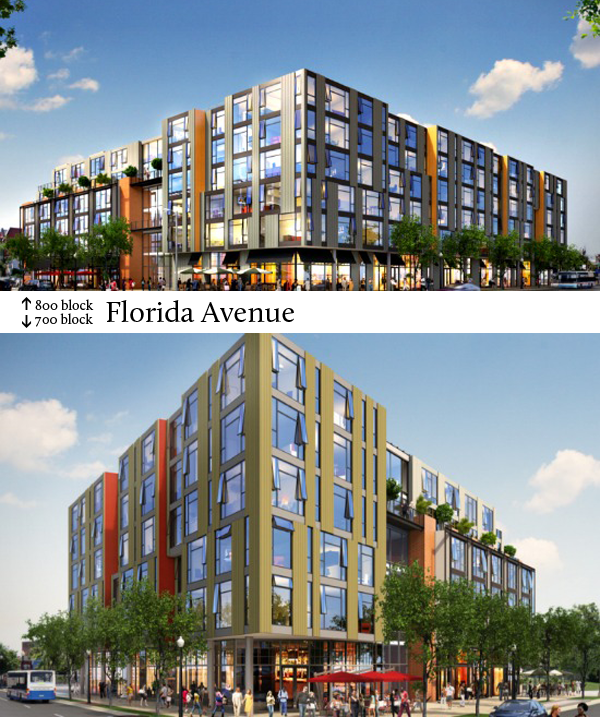 The project involves constructing two new apartment buildings flanking 8th Street at Florida Avenue. The project, which already received Historic Preservation Review Board approval, will include 242 apartments above 29,000 square feet of retail. The buildings, designed by Seattle-based Miller Hull, are six-story structures— five floors of wood stick construction over concrete podiums for the garages and retail areas. This hybrid construction type is cheaper and faster to build than concrete-only highrises. Construction is expected to take 20 months and should be completed in May 2015. PoPville reports that Pharmacare, the pharmacy at Florida and Georgia Avenues has closed permanently after its owner was indicted for fraud. The U.S. Attorney alleges that the owners of the Pharmacare and several affiliated pharmacies in Maryland and Pennsylvania billed $2.6 million to Medicare and Medicaid for prescriptions they never actually refilled. A sign posted on Pharmacare’s door says the store has closed as of August 2. Is something like Eastern Market coming to the U Street area? There’s some big news over on Florida Avenue by the 9:30 Club. The District has chosen the MRP-Ellis Development team to develop 1.45 acres of city-owned land at 965 Florida Avenue. The site sits on the east side of Florida Avenue at the intersection with Sherman Avenue. The MRP-Ellis proposal, dubbed The Griffith*, is a 370,000-square-foot building with 35,000 square feet of retail topped with several floors of residential. I haven’t found the apartment unit count, but the retail component is envisioned as a market somewhat like Union Market and Eastern Market. Furthermore, The Griffith proposal extends Bryant Street from 8th Street to the intersection of Florida and Sherman Avenues. 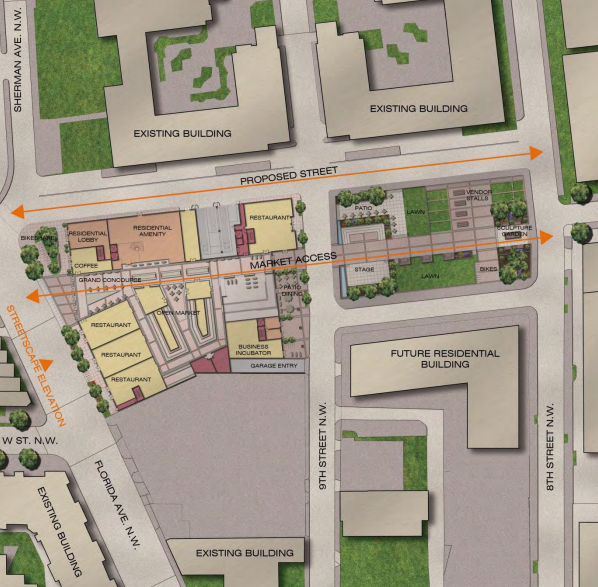 East-west connectivity is a goal of the DUKE Small Area Plan and something that the city has been seeking as that area is redeveloped. Part of the story for this award is who didn’t win. Both MRP-Ellis and JBG competed for the site. 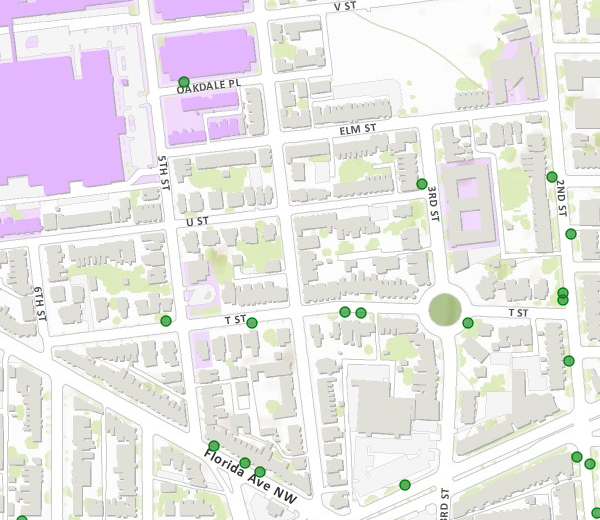 Many people following the competition thought JBG had the upper hand, since it controlled an adjacent site on Florida Avenue (see the big blank area above). JBG’s plan involved connecting W Street instead of Bryant Street. The JBG plan also included a Harris Teeter, 125 hotel rooms, 30,000 square feet of office space, 20,000 square feet of retail, 150 condos, 250 apartments, and 200 micro-apartments. What put MRP over the top, according to [the District], was an offer to build more affordable housing, an agreement to submit to the District’s planned-unit development process (ensuring community coordination) and its willingness to pay more for the land. Don’t expect shovels in the ground just yet. The details of the deal will have to be finalized and then approved by the Council. Then the project will go through a Planned Unit Development (PUD) process that involves a few months of community input and zoning hearings during which the developer will likely negotiate a community benefits agreement. After that’s finished, the permits will need to be approved and construction can finally begin. It may be four or five years until we see a ribbon-cutting. In the meantime, JBG may build a smaller project on the land it owns immediately to the south of the awarded site. No plans have been released, but whatever it is, says JBG, it won’t include a Harris Teeter or a W Street connection. * “The Griffith” is an homage to Griffith Stadium, which once stood where Howard University Hospital now stands. 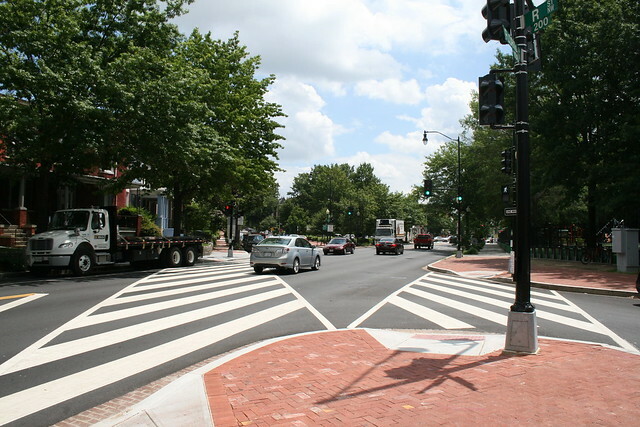 After much neighborhood lobbying, DDOT installed a new traffic signal at Florida Avenue and R Street NW in Bloomingdale. The light includes a pedestrian signal that will make it easier to cross Florida Avenue. 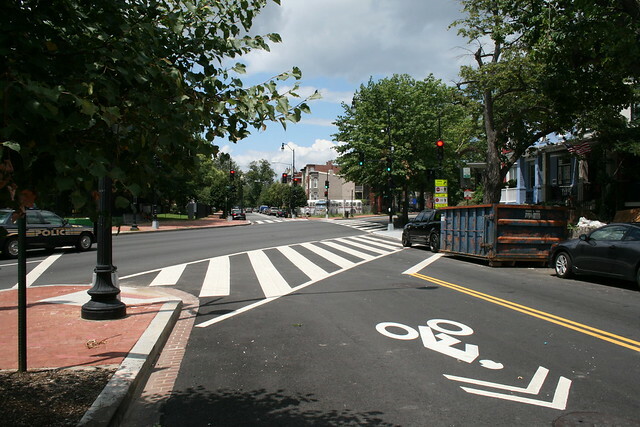 Before DDOT installed the light, pedestrians had to pray that drivers on Florida Avenue would obey the law and yield at the crosswalks. 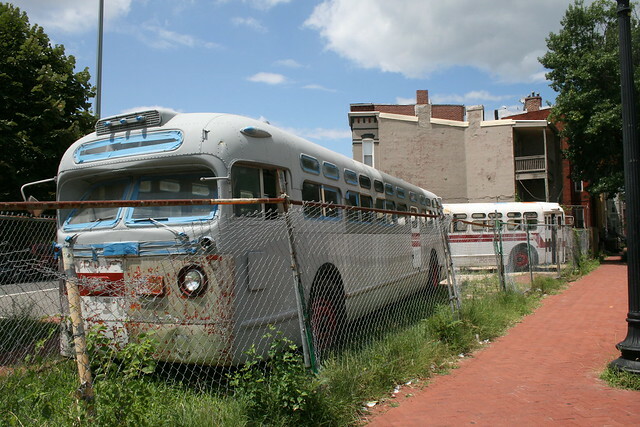 In unrelated news, two vintage transit buses are parked on the vacant lot at the northwest corner of the intersection.